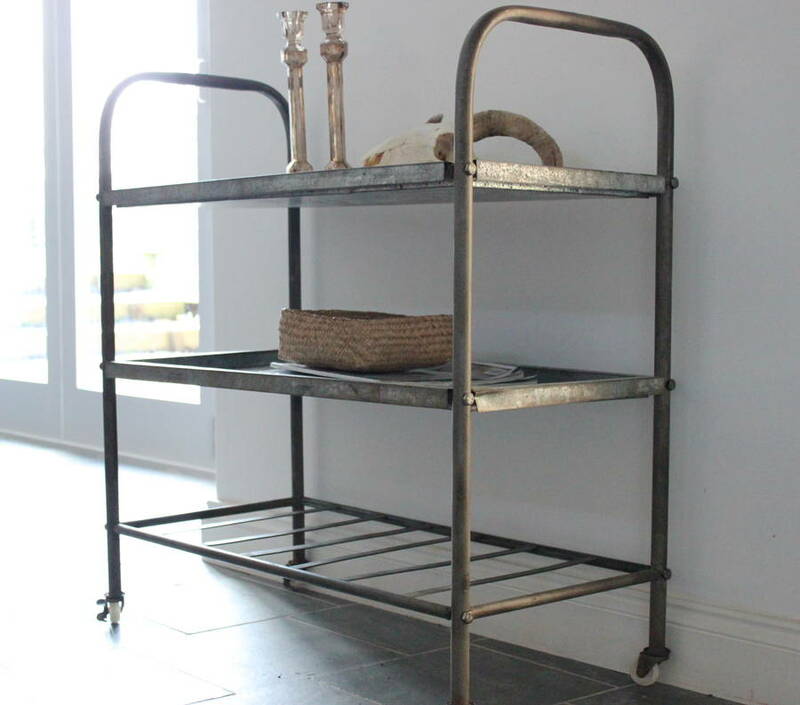 This is a great storage trolley with a vintage feel. 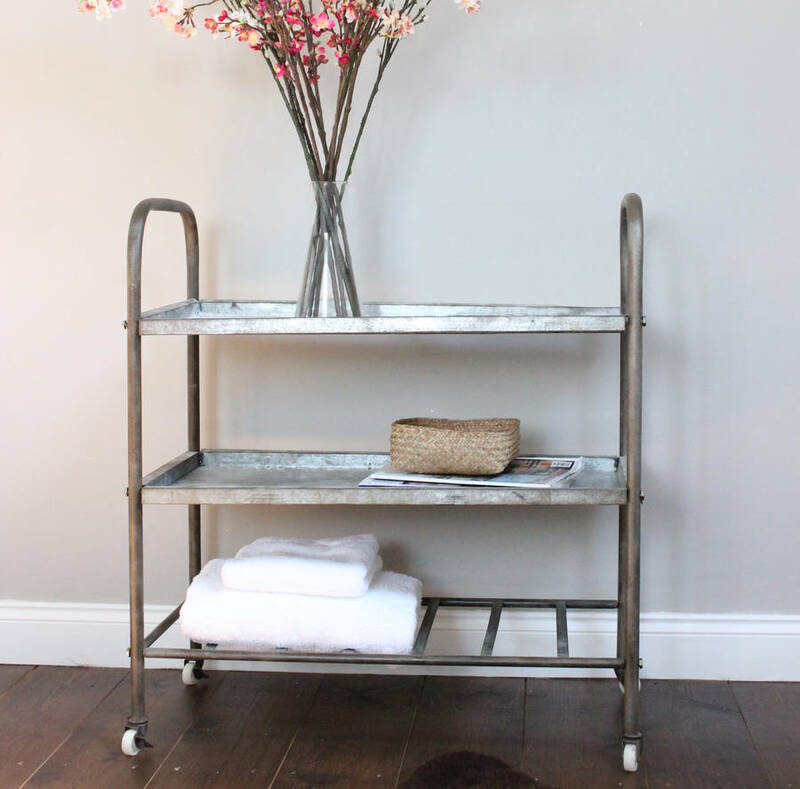 It has three useful shelves and looks equally great stacked with towels in the bathroom as with condiments in the kitchen, or wheel it out for your cocktail party! 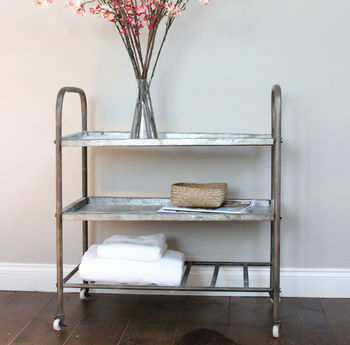 It adds a great vintage feel to any home, having a rustic, utilitarian style. It would also make a great wedding present.